Creation Glitch Effects for After Effects is a collection of 200+ video effects, audio effects, stock footage clips, and transitions that immitate damaged or corrupt digital video. 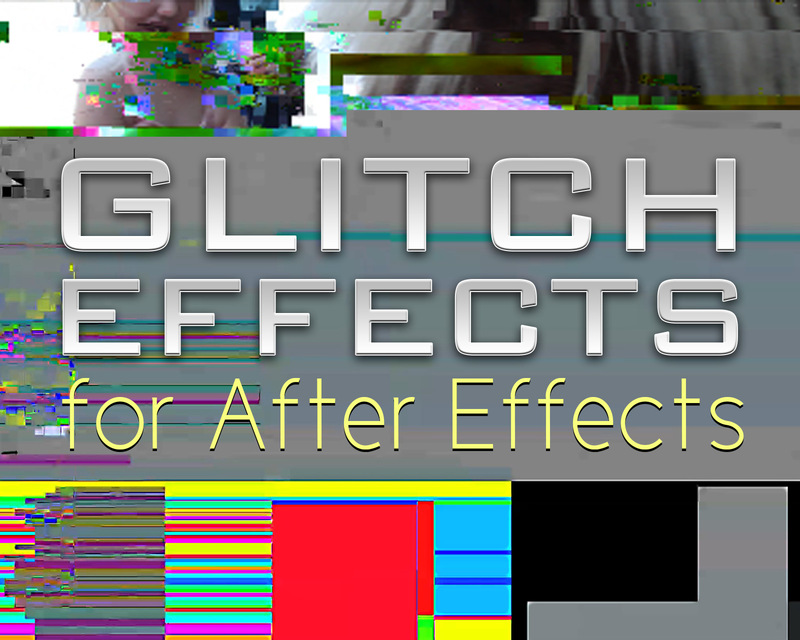 It's perfect for creating glitch art, or for video or film editors who need authentic-looking effects and total control over their look, behavior, and timing. Watch the Demo Video for Creation Glitch Effects. This Creation Glitch Effects package contains everything you need to simulate authentic-looking glitches for your video footage, ranging from corrupt digital TV signals to a low-quality webcam to a skipping DVD. No plugins are needed. All effects are customizable with easy-to-use slider controls, so you have complete control over the timing, look, and behavior of your glitch. Build unique glitch-looks by combining any of the 200+ effects. Or, for editors in a hurry, simply drop in your footage and you can immediately export any of the 19 glitch-look presets. Included with the template is access to a high-def video tutorial that walks you through the entire template, so you can get the most out of its many features. This template was designed with ease-of-use in mind, but written instructions are also found throughout the template, in case you want to understand an effect more. This template is compatible with After Effects, versions CS3 and up. All glitch effects, audio effects, and ""Digital Static"" seen in the demo video are included with the template. Music, text comps, and footage from the demo video are NOT included.